The Firefly lamps ... magical. 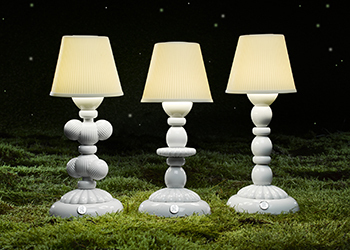 Spanish luxury brand Lladro has introduced a new range of lamps inspired by fireflies. The firefly’s magical quality of emitting light is the inspiration for the Firefly collection, the first series of cordless lamps in Lladró porcelain. “These table lamps with chargeable batteries and independent LED (light emitting diode) lights are perfect for indoor and outdoor spaces without the need for a power supply. It produces a pleasant ambience in any corner of the home, in gardens and patios or on tables in hotels and restaurants,” says the spokesperson. Portable and lightweight, the Firefly lamps couple state-of-the-art cordless lighting technology with the exclusiveness of handmade Lladró porcelain. The lamps’ shades are porcelain lithophanes whose translucent quality allows a warm, intense light to filter through. In addition, they come with original designs inspired by plant patterns and decorated in colours. The Briton 131 door closer. Allegion has taken the lead once again in the door hardware industry with its newest overhead door closer in the Briton brand. The Briton 131 has been developed to serve busy buildings with medium to high footfall like education facilities, hospitals, commercial buildings, hotels and transportation areas. It retains the brand’s hallmark association of high engineering and quality. The surface-mounted template adjustable closer is fully CE certified in accordance with construction products regulation EN 1154 in two positions (size 3) and Certifire approved to EN 1634. To achieve the certification, the closer has passed testing on 500,000 cycles, proving that it is a flexible, durable and robust solution, says the global pioneer in safety and security. Adjustable for varying door weights from sizes 2-4, Briton 131 is designed to be an economical solution to building owners and facilities managers with its low energy consumption. “The Briton brand has been synonymous with the very best in door controls and exit hardware for more than 100 years, and the Briton 131 is no exception,” says Jeff Bennett, Allegion MEA and Turkey commercial leader. 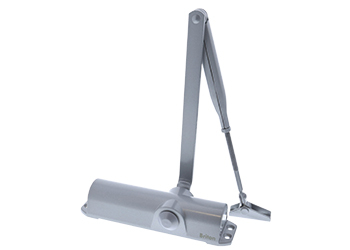 “This latest door closer was specially designed to cope with new challenges faced by schools, universities, hospitals, business buildings and others with high foot traffic and heavy doors. “Having gained the CE marking across two positions from the construction productions regulation EN 1154, we’re proud to say that Briton once again shows why it is still one of the best in the class,” he adds. UAE-based luxury furnishings retailer 2XL Furniture and Home Décor says it plans to expand its presence in the country this year and introduce new modern designs in all the emirates. The retailer currently has eight showrooms across Abu Dhabi, Dubai, Sharjah, Fujairah and Al Ain. The 2XL product range includes exclusive bedroom, living and dining room furniture as well as décor items, unique gifting ideas, plush rugs and wall art, bed and bath linen, tableware, and a fun, functional kitchenware range, says the company. In 2016, 2XL opened a new outlet in Mushrif Mall Abu Dhabi, and its first ever shop in Fujairah in Fujairah Mall. “We also plan to introduce new modern designs based on customer feedback. Our customers demand unique exclusive pieces that reflect a distinct lifestyle,” states Yadav. “Our product range is updated almost every month so that there is something new to look forward to. 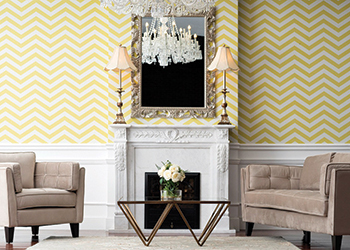 We have something to suit every home – from ornate gold-plated bedroom settings to the more subdued Parisian hues of shabby chic,” he adds. According to him, nature-inspired colour patterns, and antique styles adorned with modern embellishments, will dominate the trends in 2017.